Two of the most popular technologies that offer speedy access to the World Wide Web are DSL broadband and the cable modem. There are several reasons why this is the case and the first one is that both of these Internet connections are considerably faster than the standard dialup connections. However, when you compare the speed of data transfer between DSL and a cable modem there is a bit of variance depending on various technical aspects. Because of these variances DSL and the cable modem might have the advantage at different times. An overview of both technologies will clearly show the advantages and disadvantages of both. 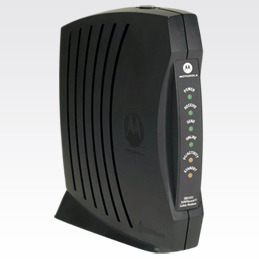 Generally the cable modem is used domestically in homes. This is because of the convenience and affordability factors due to the fact that the cable modem transfers the Internet data along he same cable as television programming. This technology is due to separate wires within the cable that are dedicated either to cable television programming or Internet data transfer. This design is profitable to the service provider because there are no additional set up costs and the unused bandwidth is utilized for Internet transfer. Another aspect of the cable modem is that individuals within an area rely on the same cable for access to the World Wide Web. As a result, the sharing of bandwidth among so many subscribers within a similar area might result in slower connections and downloads/uploads when multiple users are trying to access the net simultaneously. Also, with cable modem Internet access the distance of the customer&apos;s home from the service provider does not have an impact on the Internet speed. This is not the case with broadband DSL users. service provider the speed of data transfer decreases significantly. So, if you live far from the service provider your Internet connection speed will be slower and vice versa. When comparing the cable modem to DSL broadband it is obvious that the cable modem is faster than broadband DSL when bandwidth sharing is balanced. However, in the real world there are some instances where the advantage of the cable modem is eliminated because of technical reasons. The most important thing to do is to compare the different connections of cable and DSL speeds. The cable modem offers bandwidths up to 30 Mbps while broadband DSL speeds are a maximum 10 Mbps. However, there is a type of DSL technology called VDSL that does have speeds comparable to the cable modem, but is rarely offered to customers due to financial and technical reasons. 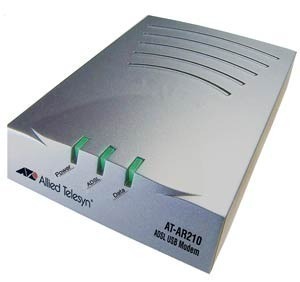 There are some aspects of the cable modem that affect its advantage over DSL. As mentioned earlier, the cable modem bandwidth may be lowered when many subscribers are connected to the Internet at any one time. Also, Internet service providers may implement a bandwidth cap that affects Internet speeds for subscribes as well. Other issues that affect Internet speed regardless of a cable modem or DSL include technical glitches in the network, spyware, home network problems and wireless routers that are not configured correctly. Most domestic cable modem Internet connections do not have the advantage of the possible 30 mbps bandwidth because most service providers offer a bandwidth of 1-6 mbps for downloads and an even lower bandwidth of 768 kbps for uploads. The reason service providers do this is to accommodate more customers with the existing bandwidth and provide an equal share of bandwidth to all customers when possible. Another aspect is that ISPs frequently cap the speed of the Internet connection in order to create several price points. This meas subscribers can choose a faster connection if they want to pay more. This is really a scheme by ISPs to make more money. When it comes to DSL connections the Internet speed depends upon the telephone line quality, how far the subscriber&apos;s home is from the telephone hub, and the technical reliability of the service provider among other things. If you are looking for a great Internet connection and are choosing between a cable modem and DSL it is up to you to determine which provider will best suit your needs. There are advantages and disadvantages to both types of Internet service providers and you will be able to make a decision by comparing reliability, cost, customer support and other aspects in regard to your personal needs. Once this is done you will easily see which connection works best for you and can then proceed with installation and getting online! In Orange County NY, Frontier Comm DSL provides 1-5 mb/sec to residential customers, whereas Spectrum (formally Time Warner Cable) delivers 3 – 200 to residential customers. Comparison? Today many people have high bandwidth requirements that make DSL unsuitable. I challenge the sentence: “this technology is due to separate wires within the cable that are dedicated either to cable television programming or Internet data transfer”. I always thought the separation within the cable was by frequency (bands)? And the coax does not have “separate wires”? 254 queries in 0.528 seconds.